Click on Workshops & Events from menu bar for details on Upcoming Events! 50% OFF SUMMER SPECIAL! 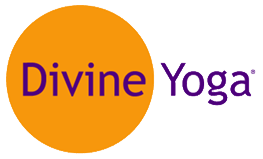 50% Off any Divine Yoga Class Card June 1st - June 30th! See Workshops & Events to qualify! WORKSHOP: Men, Women & Relationships, Sunday, July 20th, 1pm - 5pm. FREE! Summer Solstice Group Meditation! Sunday, June 22nd, 5:00am - 7:00am. Prenatal/Postnatal Classes, for women at ALL STAGES of pregnancy and moms with babies under 2 yrs. and not walking. Sign your partner up! Click here's the link for reviews on our Open House with Yelp.com!